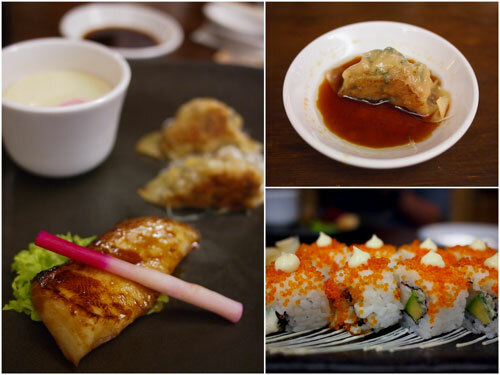 It’s been a while that this blog features any fancy dining experience, so the invitation from Tanzini Upper Deck came just at the right moment. Situated at the 29th floor in G Tower, Tanzini Upper Deck features a double volume (ermm.. aka very high ceiling) dining room complete with custom made star-lights which. 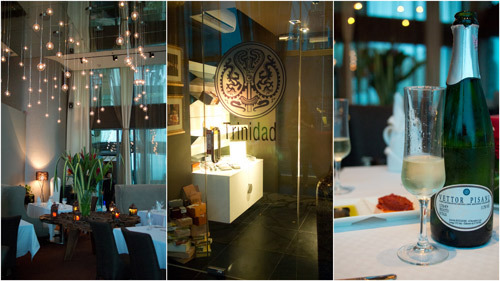 Coupled with the full view of the magnificent Petronas Twin Towers, the ambiance is about as good as one can wish for. Tanzini Upper Deck only offers 4-6 course degustation menu and private functions, if you’re looking for ala carte dining, that would be Tanzini just a level below. While waiting for everyone to arrive, we started off the night with a glass of Louis Roederer Champagne, a non-vintage champagne comprises 40% Pinot Noir, 40% Chardonnay, and 20% Pinot Meunier. I’m not exactly a wine critic, but the fruity aroma and full texture of this drinks makes it one of the better champagne I remember having. 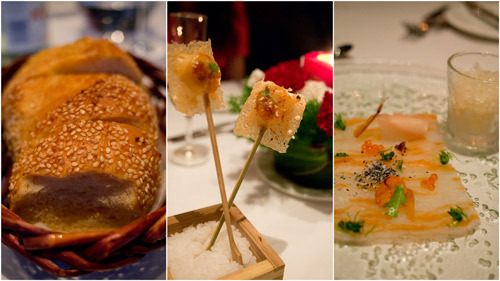 We tried three types of appetizers, starting with a daring display of creativity in the lollipop scallops. It was in essence, grilled scallop on a stick encased with caramelized sugar. 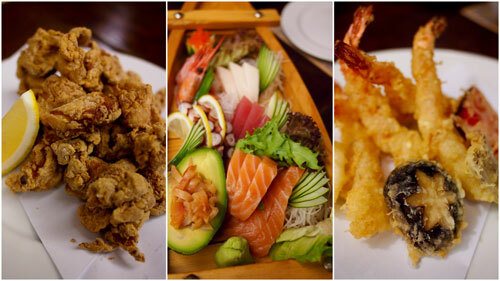 Sweet and savory, a departure from the normal preparation which tends to go towards the salty side. Interesting nonetheless. Halibut-Salmon “Mokume Gane” is inspired by Japanese mixed metal patterns. In this instance, using halibut and salmon that results in the orange/white pattern. Served with house pickled ginger, lemon grass-calamansi granita, candied hojiso (shiso leaf), and horse radish. 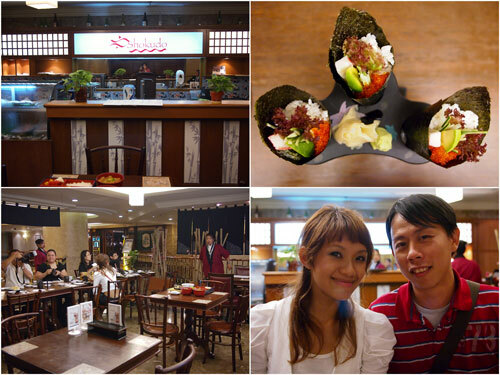 The taste was quite distinctly Japanese for me, and in a very good way. 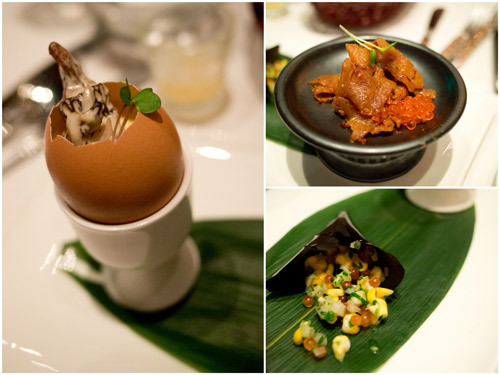 Another choice of appetizer is the black truffle custard that comes in three parts – truffled egg-mushi, a squid ink cone with sweet corn, and finally, prawn noodle with trout roe. This was almost a 3-in-1 dish. 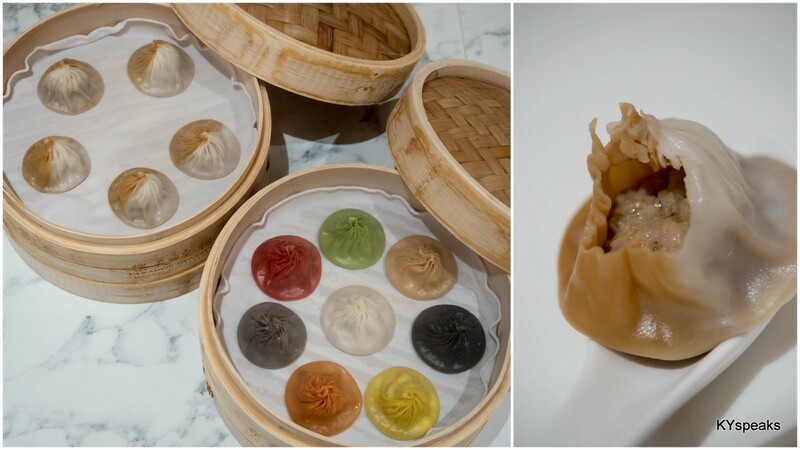 I love the truffled egg (kinda reminds me of the foie gras egg in Gu Yue Tien, though they are different) and enjoyed the textures of prawn noodle with trout roe. The final third of the dish though, was overpowered by the sweetness of the corn that very little hint of squid ink was apparent. Next up was a choice between the two soups we tried. Chef Eugene’s interpretation of “BLT” was our first soup. 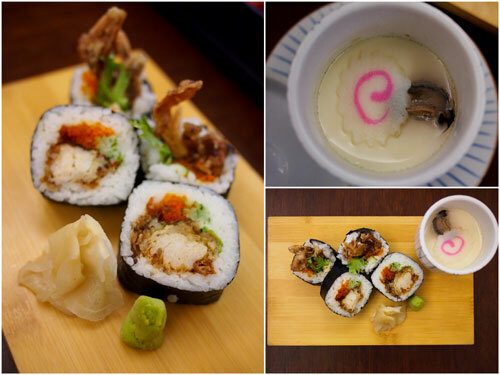 Veloute de tomates, bacon marmalade, 30″ lettuce m-sponge, and tempura soft shell crab. I’ve never tasted bacon, lettuce, and tomato quite this way before, and I gotta say it was very impressive and daring. The soup was like a very supped up (pardon the pun) version of tomato soup. It was quite delicious. Should you choose the smoked oyster tea as the choice of soup instead, you won’t be disappointed. 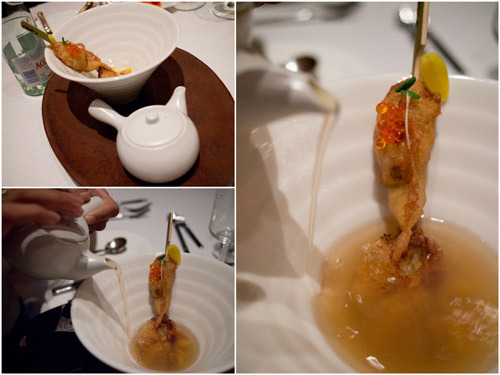 This dish was a demonstration of the perfect harmony in consomme of oyster, fenugreek (herb), smoked trout roe, ginkgo, and oyster kara-age (similar to tempura). The soup is poured just before eating, and rightly so, because 2 minutes later the crispy skin of oyster kara-age would’ve become soggy. After appetizer and soup, we moved onto starters. 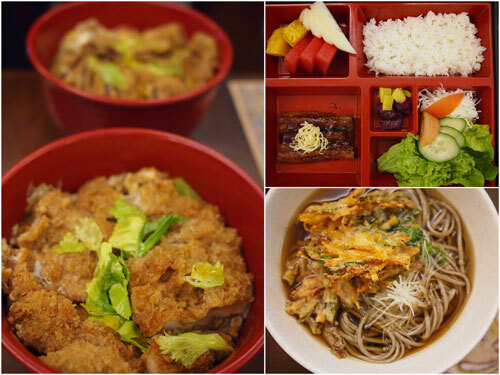 Ox tongue yakitori and house-cured muscovy duck were the two dishes to be chosen from the menu. 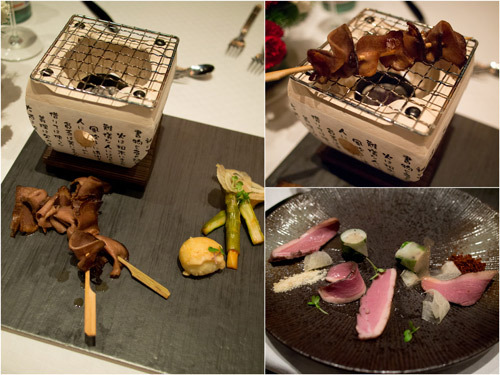 On one hand, the fancier ox tongue dish comprises of miso-ginger infused ox tongue skewer, fennel in Yuzu dressing, asparagus kimchi, and fried béarnaise. The ox tongue was very good in its delicate taste and texture, fried bearnaise was interesting, but the asparagus kimchi though, was a surprise that wasn’t exactly in a good way. I felt that it was a little bit out of place. the duck dish, on the other hand, was excellent! Plum sauce, pop rocks & melon galia, truffled potato stuffed bok choi, and litchi glass are the ingredients. Chef Eugene got this one perfectly executed, it just tasted very very good. We had an intermezzo in the form of some sorbet which acted as a palette cleanser, after that was the main dishes. Out of the 3 choices, I selected the Redefined “Aussie Pie” – glazed hilside farm lamb loin in house stock, kataifi, truffled mashed peas, vegemite orb, and sautéed vegetables. This dish was another display of art, and the good news was, it actually tasted rather good. 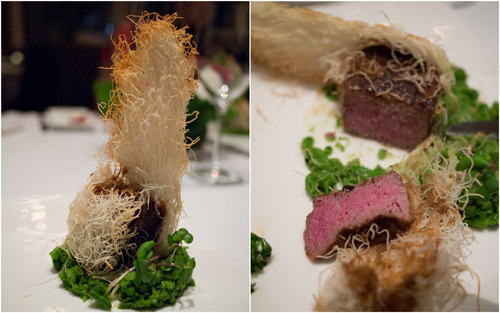 The lamb loin was almost a little too dry for my liking, but that was just me nitpicking a little. Haze had the “Uncle Sam” Braised Wagyu Beef Cheeks – slow braised wagyu in rye stock, grilled king trumpets, dark chocolate crouton, and seasonal vegetable. 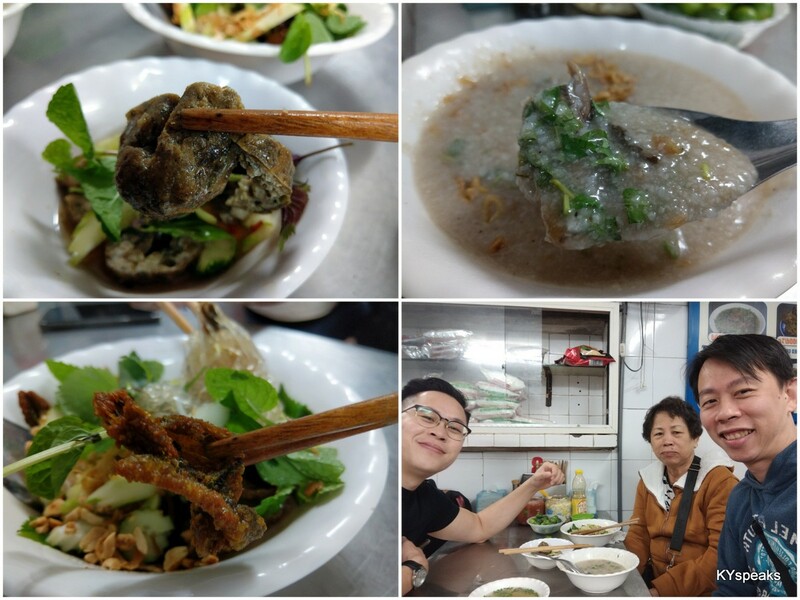 This turned out to be one of the weaker dish, and we felt that it was actually a little bit of a waste to braise a good piece of meat. Truth be told, it was a disappointment. The dinner ended with flamed popcorn gelato – hazel streusel, bruleed banana, black elderberry glazed fuji apples, and salted caramel toast. The presentation of the dessert really placed an exclamation mark to the chef’s creativity. 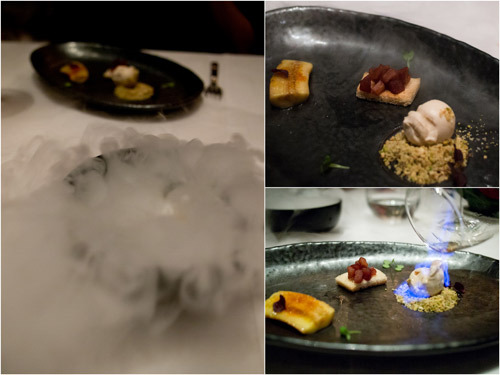 It was served with the smoke from dry ice overflowing the table, and some Grand Marnier poured onto the glazed apple for the flame. The spirit did make the dessert a bit bitter, but I actually love it bitter so that suited me well (not so for the girls). 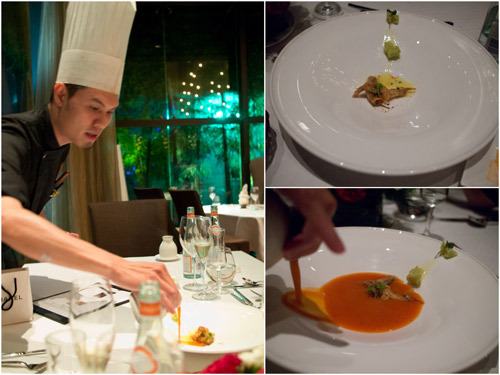 All throughout the dinner, chef Eugene came out and explained the meaning and intricacy of each dishes, which made a world of difference. 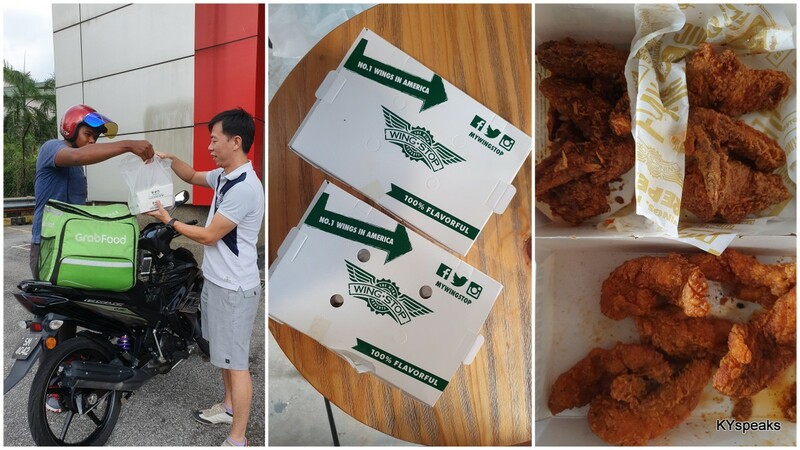 Service too was excellent throughout (but this is an invited food review, so your mileage may vary). Almost everyone in this badminton crazed country knows about Thomas Cup, Malaysian Open, and All England, but have you heard about Axiata Cup? The Axiata Cup is a new regional badminton event created for the Axiata Group – one of Asia’s largest telecom companies, and most importantly, the biggest names in badminton in our country are in. That of course, includes world number one Datuk Lee Chong Wei and also our top doubles pair in Kien Keat-Boon Heong. The good news is, Malaysia is now through to the semi-finals and will duke it out against the Indonesian teams on 31st March to 1st April at Stadium Badminton Cheras. 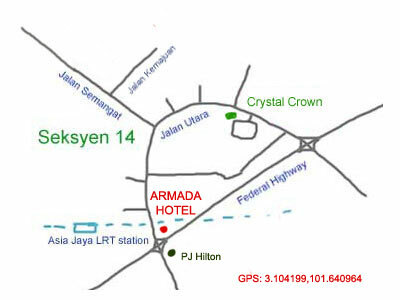 So go there and cheer for Team Malaysia! 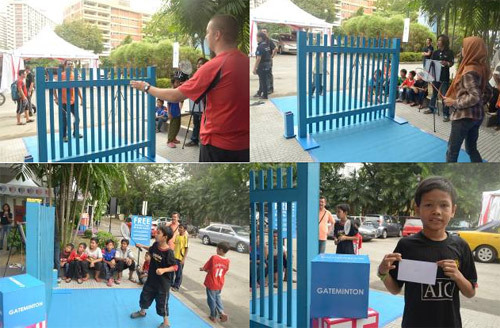 If you get there before 4pm, be sure to check out “Gateminton” – where you can beat your opponent and get cash prizes. The more rounds you win, the more cash prizes you pick up. This just reminds me of times I spent playing badminton right outside my old house in Penang. Good times! 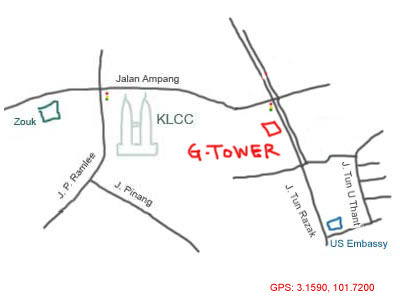 Sign up for CE50 for Celcom Exec 1+5 Plan at the participating Blue Cube outlets & receive 2 FREE tickets! Sign up for any Celcom Broadband plan to get 2 FREE tickets! Sign up for any smartphone plan with Celcom & get 2 FREE tickets! Other than that, there’s also the WHO WILL WIN contest where the winner drives home a brand new Nissan Livina X-Gear. Follow the Axiata Cup action on The Cube by getting the hottest badminton downloads. 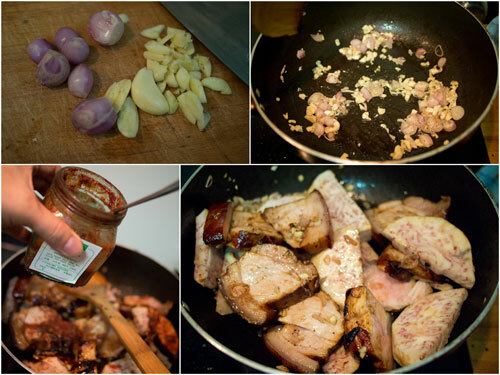 After cooking regularly for a better part of a year now, I thought it’s about time we try dishes that is a little bit more challenging, and since Haze has a thing for braised pork belly with yam (芋头扣肉), we decided to give it a go. 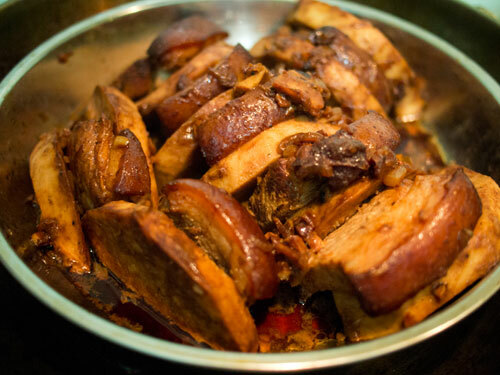 The following recipe is perhaps the simplest formulation for a good braised pork belly with yam, but that being said, it still requires at least 3-4 hours of cooking time to complete. 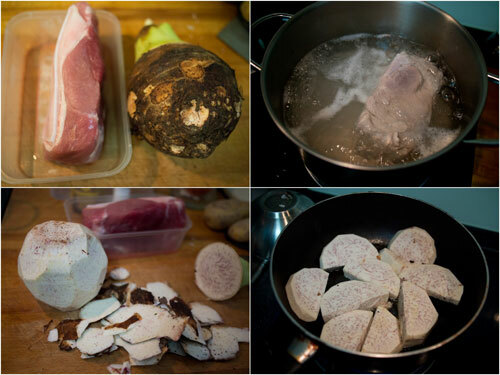 The result though, if done properly, is a serving of yummy succulent pork with buttery soft yam good enough for 4 person. And you are done! Do always keep an eye to ensure that your steamer don’t run out of water in the process. If a pressure cooker is used, the steaming process can be cut short considerably (20-30 minutes, I will try this method next time). 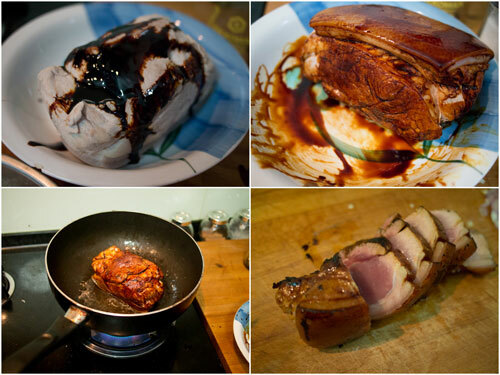 Do check out more recipes on this site, and happy cooking! Where were you at St. Patrick’s Day? And we did it! 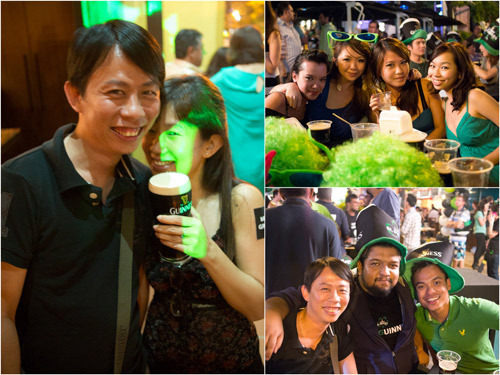 The largest St. Patrick’s Day celebration in the whole Asia happened right here at Changkat Bukit Bintang with a total of over 10,000 people turning up for the event, painting the entire street and bars with a sea of green. I was there, and I hope your St. Patrick’s Day was as eventful as the one we experienced. 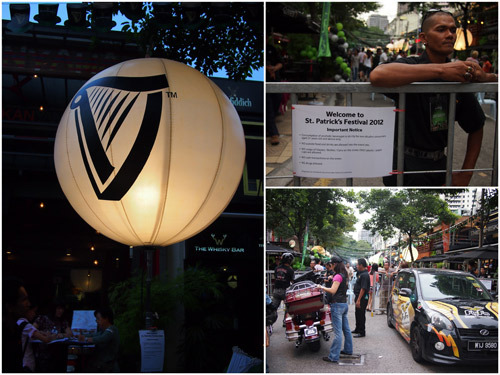 Amazingly, we is only the 6th installation of Guinness St. Patrick’s festival here in Malaysia, and we are already on top of Asia. Perhaps in a few more years we’ll have it as big as the big boys over at Europe and America. 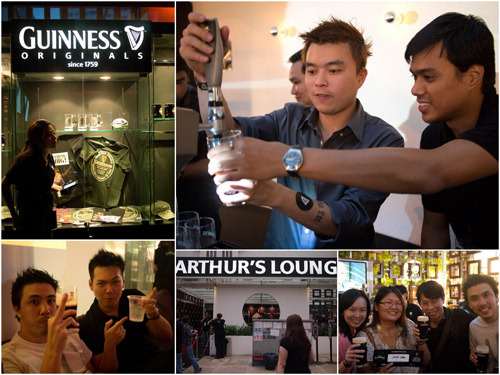 Suan, FA, and myself arrived at the scene pretty early to beat the crowd (and to allow ourselves to have more Guinness, of course), and things are already starting to get busy by around 6+ in the evening. The street was blocked from traffic, and everywhere was decorated black and green. I give credit to the event organizer for hiring plenty of help for the event. Friendly servers everywhere, and most importantly, Guinness stands being set up right along the street at practically every 10 meter or something. There were tables and chairs on the road as well. It was everything you’d need to have a good time, and more. A bunch of us also dropped by Arthur’s Lounge (converted from Frangipani for the day) and got to try pretending to be a waiter and pour a perfect pint (in which we got to drink right after). Check out the level of concentration on Huai Bin’s face in doing just that! 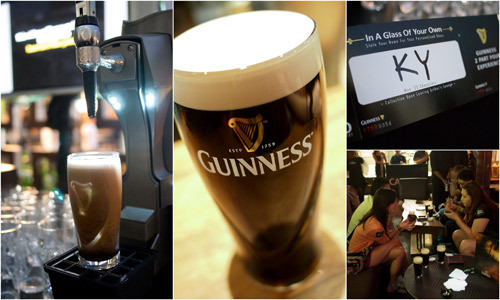 We then proceed to go upstairs and hanged out a little while our personalized Guinness mug was being prepared, and best of all, there were food served as well. Little servings of salmon on bruschetta, meatball on toothpick, spaghetti in a soup spoon. You know, those tiny fine food, which went well with the beer, of course. All these while, the party right outside was going on full blast. The parade with clowns, stilt walkers, Irish dancers, and lots of other entertainers. 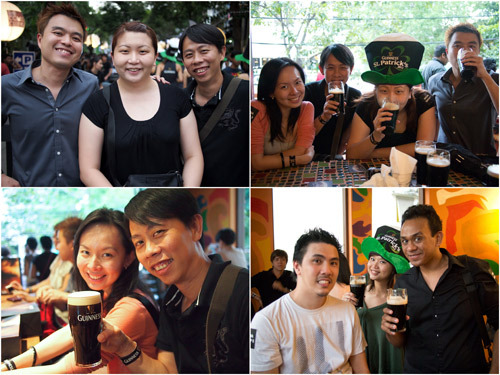 Huai Bin, Suan, FA, Michael, Hitomi, Marcky, yes we obviously had fun. 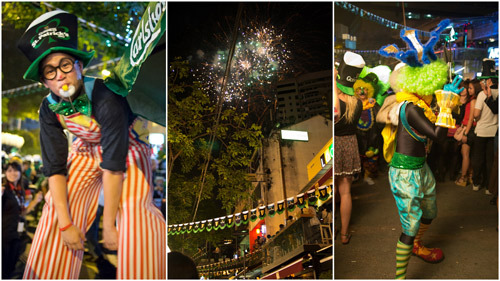 At the other end of Changkat was a stage where you can near laughter from the crowd as you go nearer. That’s where the comedians were at work. Serena C and Prem were on the scene hosting the entire event, it was really a massive party. And then the fireworks came on, and the crowd literally went wild with their cameras. Good times! So that pretty much summed up my St. Patrick’s Day. Good beer, great time, and even better company. How was yours? 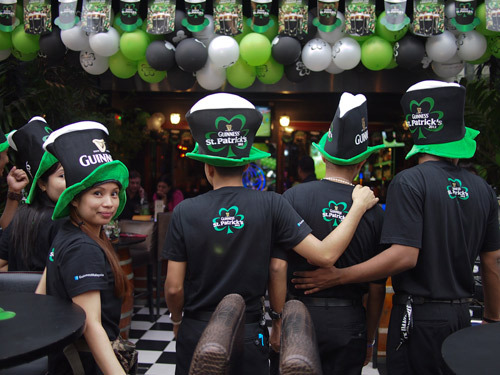 If you’ve missed the big one at Changkat, there are still a few upcoming Guinness St. Patrick’s celebration for this year yet!